The Brahmas battled hot temperatures on a bus trip Saturday. Brahmas Live is a Pierce College sports talk radio show hosted by Ethan Hanson. 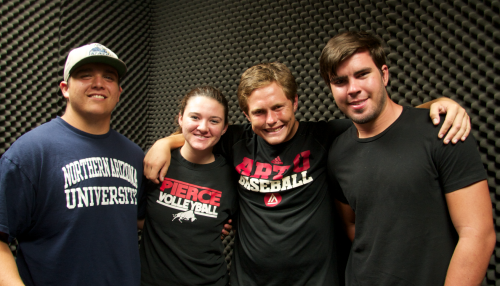 On this episode, Ethan interviews Callie Kruse of the Pierce College Womens Volleyball Team. Callie talks about how the Lady Brahmas are preparing for the Pierce College Invitational. Later in this broadcast Ethan is also joined by Brahmas Football players Nik Fields, Brandon Reed who discuss Saturday’s the hot bus trip to Chula Vista.